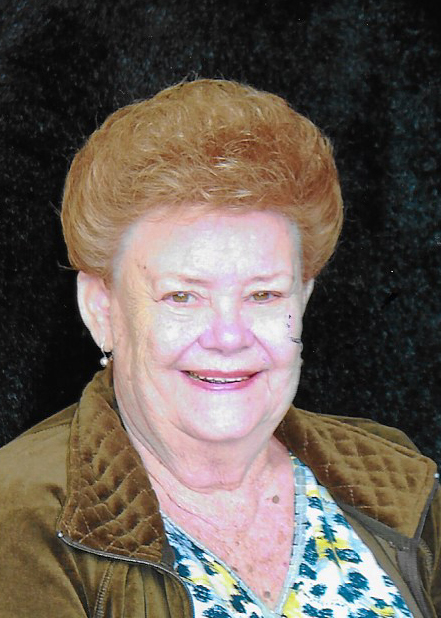 Nannelle “Nan” Miller Griffin, 79, of Lee County, died February 3, 2019 at Wynfield Health and Rehabilitation Center. The family will hold a private service. Mrs. Griffin was born in Albany, GA on November 18, 1939 to the late Onzelo and Juliette Miller. She was a graduate of Albany High School and retired from the Lee County Board of Education after 30 years. Mrs. Griffin was a charter member of Sherwood Baptist Church, the Retired Teacher Association and served as the M C at the Little Miss Lee County Pageant. She was preceded in death by her husband, Douglas E. Griffin, Sr., her son, Douglas E. Griffin, Jr. and a brother, John Miller. Survivors include her daughters, Donna Griffin (fiance' Danny Phillips) and Debbie Griffin Wetherald and her husband, Brian all of Lee County, GA, her grandchildren, Brandie (Josh) Hinson of Sherwood, AR, Brian (Raquel) Wetherald, Jr., Brent (Danielle) Wetherald, Dawn (Branton) Scott, Dana (Nolan) Griffin Patrick all of Lee County, GA, her great-grandchildren, Conner Scott, Ayden Hinson, Reese Wetherald and Rylie Wetherald and a sister, Jan Swift of Albany, GA, brothers-in-law, the late W. F. (Melvina) Griffin, Lemuel (Linda) Griffin of Albany, GA, Henry (Rita) Griffin of Lee County, GA, Jerry (Carolyn) of Albany, GA, sisters-in-law Evelyn (Jerome) Phillips of Newton, GA, Ophelia Newman of Augusta, GA, Carol (Jim) Boyd, Jan Griffin all of Lee County, GA, Bronnie (Cliff) Holton of Camilla, GA and Fran Miller of Albany. The family will receive friends Tuesday from 6:00 PM until 8:00 PM at Mathews Funeral Home. In lieu of flowers please make memorials to the American Heart Association, 5926 Zebulon Rd, PMB 359, Macon, GA 31210, American Diabetes Association, 233 Peachtree Street NE, Harris Tower, Suite 2225, Atlanta, Georgia 30303 or American Cancer Society. 507 West 3rd Ave, Albany, GA 31701.